Some find inspiration in the beautiful sounds of music, others find it walking in the park or by listening to the waves of the sea. If you or someone you love is one to be inspired by nature, we’ve come up with flowers to send that inspire creativity, reward success, show love, bring happiness and a little bit of luck! It’s clear to say that no holiday or special occasion is needed to send flowers to the people you love, but here’s what you can celebrate by sending fresh blooms this month! Every month brings new opportunities to send flowers to the people we love. Not saying that we need to have a reason to send fresh blooms, but it’s always good to commemorate a holiday or special occasion with something that gives happiness and comfort. 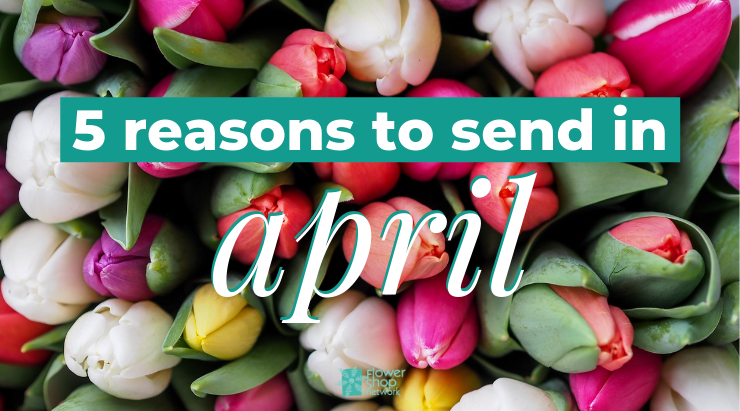 Below are 5 reasons to inspire you to send flowers this month!